On May 31 and June 1st, the second transnational project meeting of + (Erasmus +: KA2 – 2015) took place in the Campus Rio Ebro at the University of Zaragoza. At this second meeting of the consortium, they have been treated and evaluated the activities carried out so far and the results obtained as well as the approach of the following tasks regarding the project’s implementation. 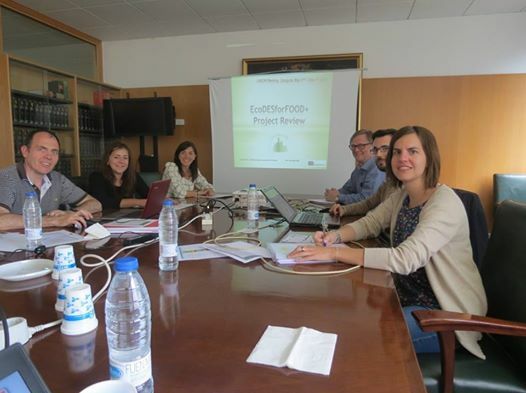 Thanks to the information gathered through questionnaires, the consortium has been able to meet and determine both the educational level of those concerned and their previous knowledge in the field of eco-design packaging for the food industry. That is why the level of the course to be developed in the project will be adapted to a level 5 of the European Qualifications Framework (EQF). The consortium is still contacting various institutions related to the food industry, packaging and waste management in the three countries (Spain, Sweden and Cyprus) in order to continue the dissemination of the project and keep all related stakeholders and target group informed regarding the next steps of the project.